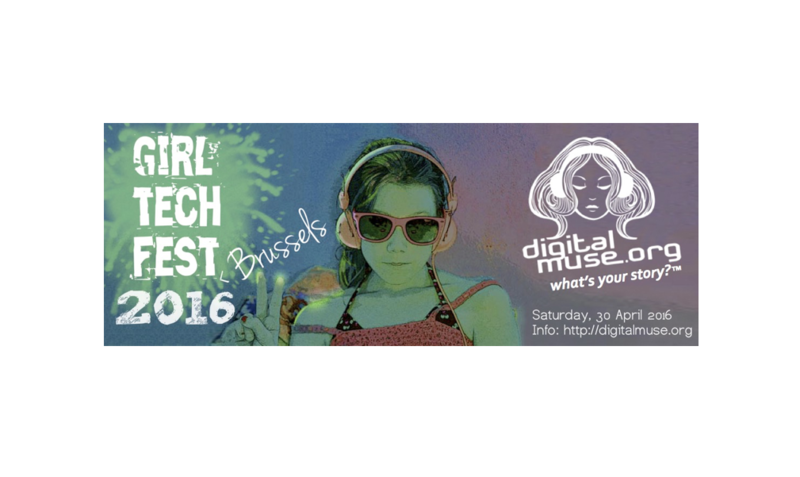 After reaching nearly 500 girls with our Girl Tech Fest initiative, Digital Muse plans to keep inspiring girls with a Digital Muse After School (DMAS) program, taking place at our female tech incubator in Brussels on Wednesdays after school, 14:00-16:00. What is Digital Muse After School? 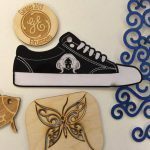 Digital Muse After School is a program for up to 40 teen girls, ages 11 to 16, focused on encouraging them to pursue studies and careers in ESTEAM: Entrepreneurship and Arts, powered by Science, Technology, Engineering and Mathematics (STEM). The first DMAS series, taking place between 20 September and 13 December 2017, is focused on four thematic areas that introduce participants to the variety of opportunities that a career in technology has to offer. Le premier semestre est axé sur le développement des projets pendants trois semaines au cours desquelles les filles apprendront des notions qui couvrent trois domaines thématiques (développement d’Android, conception web, visualisation des données et l’ingénierie électrique/“Wearables”) afin d’introduire les filles aux nombreuses options qu’une carrière dans le domaine de la technologie peut offrir. Het is een programma met 40 meisjes, dat focust op het stimuleren van jonge meisjes om hun studies af te werken en een job aan te gaan in ESTEAM (entrpreneurship, science, technology, engineering, arts and mathematics). Tijdens het eerste semester, zullen de meiden werken aan een Androidontwikkeling, ontwerpen van een website, data visualisatie en elektrotechniek, om ze kennis te laten maken met verschillende carrière mogelijkheden in technologie. 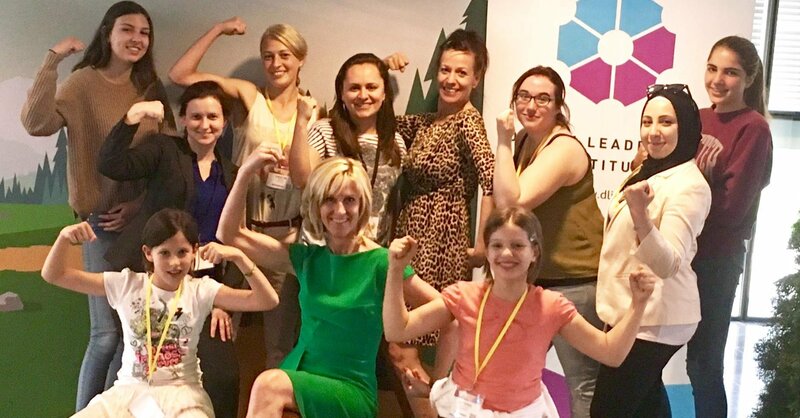 On 1 June in Louvain-La-Neuve, girls and women from across Belgium joined an all-female Android coding workshop organized by the Digital Leadership Institute in the context of Salesforce Essentials, a large-scale event reaching over 600 Salesforce enthusiasts. The workshop, carried out as part of our Digital Muse initiative in collaboration with Salesforce Belux and Salesforce.org, attracted participants ranging in age from ten to fifty-five, who benefited from hands-on coding lessons using MIT App Inventor and inspiring talks by Salesforce employees. Ms. Cécile Kempeneers is a role model with plenty of role models! 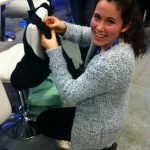 Ms. Cécile Kempeneers, a Salesforce Belux Senior Account Executive who also co-organized a workshop at the most recent Girl Tech Fest Brussels 2017, shared with participants about her own role models and people who inspired her to enter a career in tech — including her grandfather, but also Elon Musk, Michelle Obama, Emma Watson and Malala Yousafzai. Ms. Carmina Coenen, Salesforce Manager for Solution Engineering, also captured everyone’s imagination with a promise that coding and working with Salesforce would give them more options for an exciting and rewarding career. Workshop attendees showed a clear talent for developing their own Android smartphone application that translates speech from one language into spoken output in another language. The talks by Ms. Coenen and Ms. Kempeneer also piqued their interest in career opportunities with Salesforce. 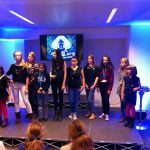 In honour of International Girls in ICT Day 2017, the Digital Leadership Institute and its partners organised the second annual Girl Tech Fest Brussels 2017, a volunteer-run event with over 100 activities reaching 250 participants from across Brussels, encouraging girls toward study and career paths in ESTEAM: STEM plus Entrepreneurship and Arts! European Commissioner for Justice, Ms. Vera Jourová who had a special message for GTF participants! Our wonderful partners — Amazon Web Services, IBM, Dell EMC, Cisco and Salesforce — for helping us in countless ways to make the event a reality! All the amazing volunteers — Alma Radio, Hack4Kids, Ludilab, Hexalina, Women Mentor Association, Nightwave, DJ Sand, et al. — who donated their time, knowledge and a sheer physical presence to assure the girls that there is a place for them in our digital present and future! 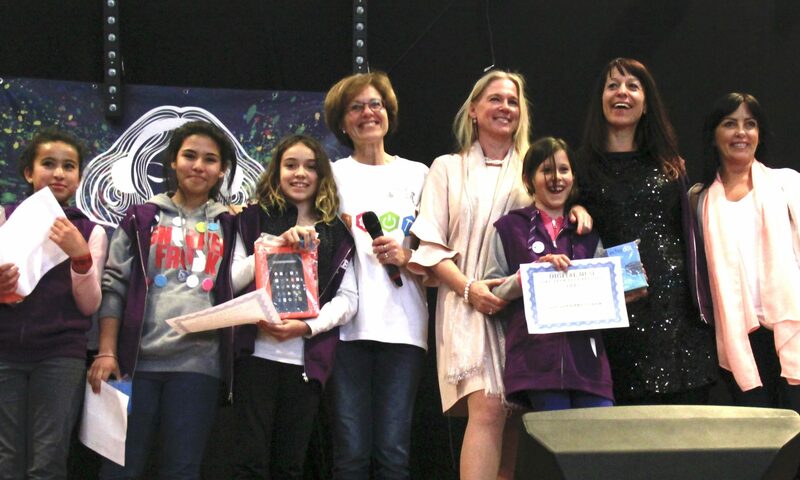 The European School IV of Brussels (EEB4), without whose enthusiastic collaboration and massive behind-the-scenes support, the Girl Tech Fest would not have been possible! 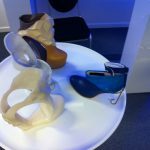 Our event got some attention! Find out who was impressed right here! For pictures of the event, news about upcoming activities and additional ways to stay involved in future DLI and Digital Muse events, please follow us here! Thank you, and see you all again next year! 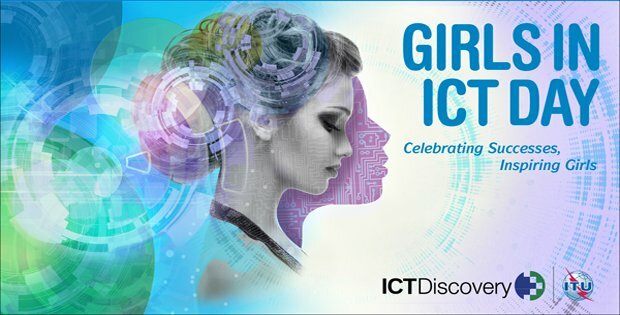 In celebration of International Girls in ICT Day 2016, on 30 April in Brussels the Digital Leadership Institute will launch the first-ever Digital Muse “Girl Tech Fest” — an all-day event promoting digital and creative skills to 11-15 year old girls from the greater Brussels region. 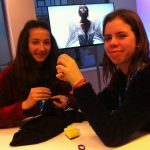 This event, supported by top technology companies, youth networks, and public and private partners in Belgium and Europe, aims to increase participation of girls in ESTEAM* studies and careers through hands-on workshops at the intersection of creative and digital endeavor. 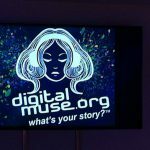 Digital Muse One – Music Compilation Release: On the occasion of the Girl Tech Fest, the Digital Leadership Institute will also release its first compilation album, “Digital Muse One – DM1,” featuring top women electronic musicians from the past and present. Album artists will join the Girl Tech Fest as speakers and workshop leaders. Proceeds from the DM1 release event and sale of the album will benefit this and future Digital Muse activities. 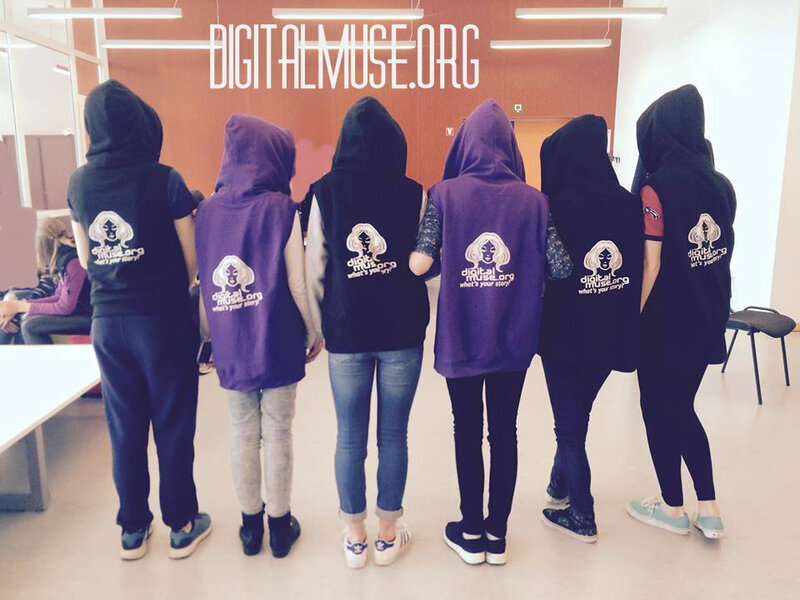 If you or or your organisation would like to support the Digital Muse Girl Tech Fest — with expert-led workshops, sponsorship, promotional consideration, media coverage, technical infrastructure or onsite volunteers, please contact us. We are looking forward to launching this world-first for International Girls in ICT Day in Brussels on 30 April 2016 with you! On 9 March in Brussels, the Digital Leadership Institute and 150 of its closest friends and supporters celebrated International Women’s Day with the grand opening of DLI‘s Digital Innovation Centre for Girls & Women, a first of its kind in Europe! This very special occasion was marked with fun, hands-on digital activities for all ages, a high-level roundtable with Brussels, Belgian and European stakeholders, and a reception for all in attendance. In particular, the Bits, Bytes & Machine Code activity – a card game for all ages designed by Ms. Rosanna Kurrer, DLI Digital Literacy Lead and g-Hive Community Manager – was a popular (and loud) crowd favorite. It required players to calculate in bits and bytes, and showcased the digital natives in the group, who nimbly trounced their analog ancestors to much vocal lamenting. The Digital Activity Stations then gave way to an official DLI Opening Ceremony graced with a beautiful video message from Ms. Bianca Debaets, State Secretary of the Brussels Capital Region for Equal Opportunity and ICT, and a ribbon-cutting ceremony officiated by Miss Manon Van Hoorebeke, 2014 European Digital Girl of the Year, and Ms. Esther Roure Vila, 2014 European Digital Woman of the Year. Thank you, Dell! And thank you to all of our DLI community and supporters for such a wonderful and memorable DLI opening event! It’s that time of year again! 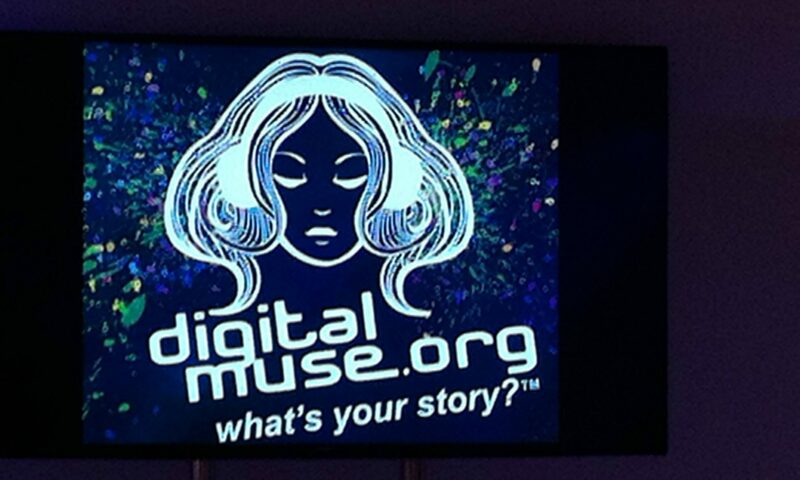 Join us for two upcoming Digital Muse events taking place to celebrate Girls in ICT Day 2014! 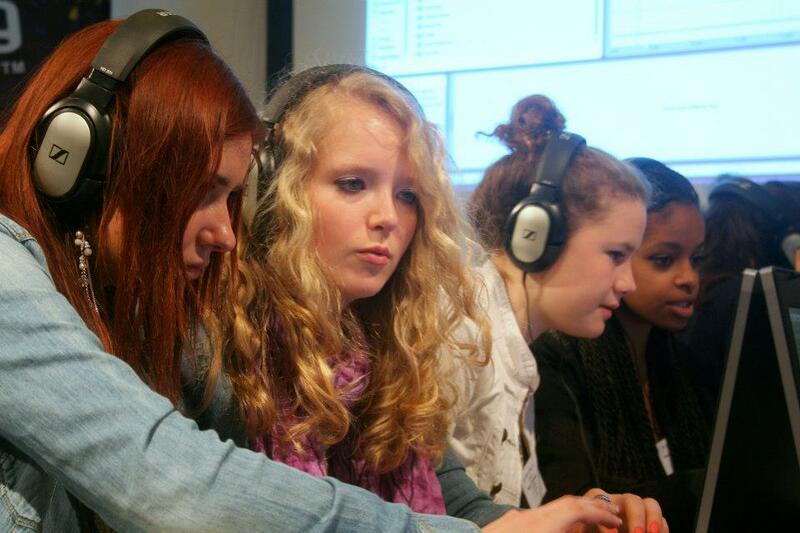 On 15 April, we will run an all-day workshop on “Digital Music” as part of the 2014 Girls in ICT Day festivities at the UN International Telecoms Union headquarters in Geneva, Switzerland. The workshop, presented by Cheryl Miller, DLI/DigitalMuse founder, and Adele Rogers, a local music talent, will review a short history of digital music, song-writing and the digital tools available for “creative digital independence” for aspiring music-makers. Stay tuned here for the amazing creations that will result from this digital musing! On 23 April, Digital Muse will host its first-ever Mother & Daughter digital music workshop, organised by Cheryl and Sandrine Droubaix, world-reknown digital musician hailing from Brussels. Join us live and direct from DJ Sand‘s studio in Brussels, and look forward to some fantastic digital music inventions from teams of adult- and mini-digital muses! Registration here!